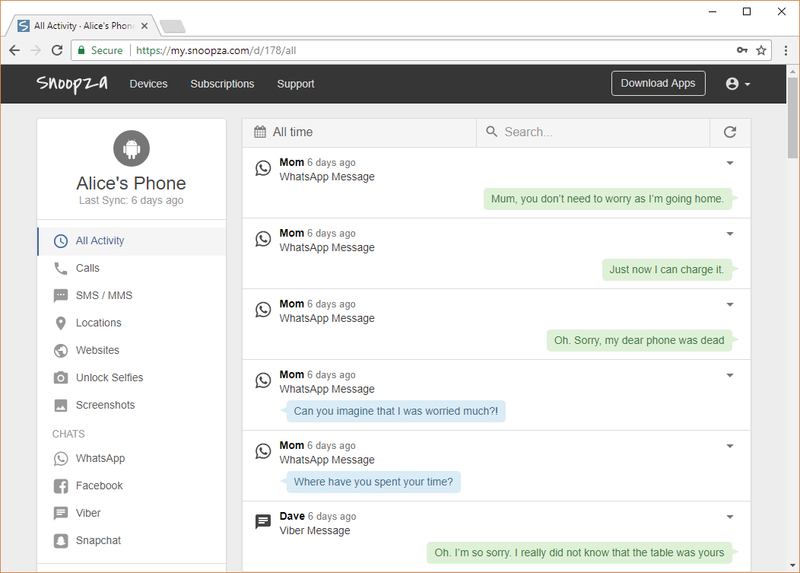 Enter your email and password and click "Create a Free Account"
If you can not find the "Add Device" page, click "+" button, then click "Download"
Do not open the program from the Chrome browser's downloads list. Use File Manager to find it in the Downloads folder and launch it from there. 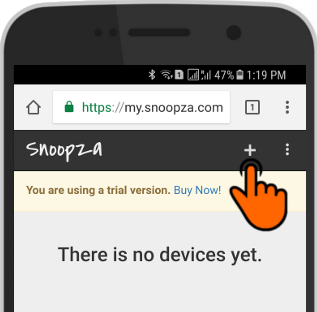 Enter your Snoopza account login and password. Tap "Activate". 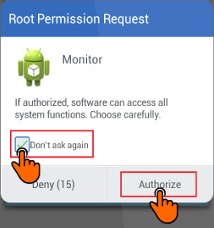 activate "Usage tracking": tap "Yes"
find and tap "Sync Manager"
When asked whether to restart, answer "Yes"
At "Root Permission Request" be sure to check the box "Don't ask again", then click "Authorize"
For more information Submit a request.